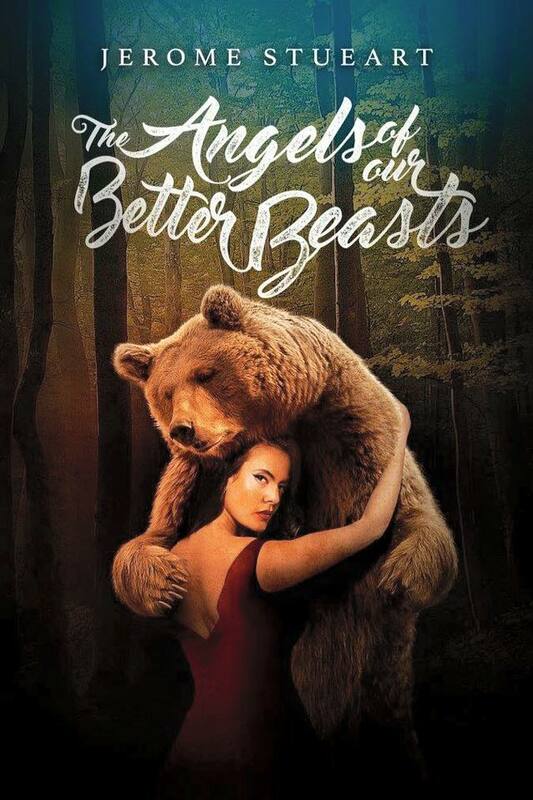 Beasts both figurative and literal provide the thematic link connecting most of the selections in Jerome Stueart's short story collection The Angels of Our Better Beasts (ChiZine Publications, 2016). Nowhere is this more apparent than in "Heartbreak, Gospel, Shotgun, Fiddler, Werewolf, Chorus: Bluegrass", about a best-selling, award-winning Christian bluegrass band trying to hide the fact that their star banjo player is a werewolf. While this may sound like a set-up for some dark comedy, it's not. Tommy has already killed two people while in werewolf form, and when the band loses the one member whose music can keep him at least somewhat under control, they're faced with a terrible choice. Do they turn him in to the authorities, shoot him themselves, try to replace the musician who abandoned them? Or ask God for a miracle that might not work out quite the way they'd expected? The story is a masterful example of the kind of speculative fiction we're most interested in here at Mysterion: Christian characters facing challenges to their faith, difficult questions about why God allows terrible things to happen, and a deeply insightful critique of Christian subculture and how it idolizes its celebrities. And underneath it all, the impossibility of separating the good from the monstrous in any of us. Jerome Stueart is a dual American-Canadian speculative fiction author and editor, whose work has appeared in Tor.com, Lightspeed's Queers Destroy Science Fiction, Strange Horizons, and several of the Tesseracts anthologies (Tesseracts is a long-running Canadian SF anthology series, for you Americans). He also co-edited a volume of Tesseracts and a volume of Imaginarium (Canada's Best of the Year SF annual); teaches workshops on writing science fiction & fantasy and on writing about faith; and runs a website called Talking Dog, with gay Christian resources. About a year ago, Canadian press ChiZine Publications released a collection of his short stories, including both original and reprinted material; since some of the stories deal with Christian themes, I thought it might be of interest to Mysterion readers. So far we have beasts, and Christianity--another theme that emerges in some of my favorite stories in the collection is that of misunderstanding, often with tragic consequences. In "Lemmings in the Third Year", a story about human Arctic scientists trapped in an alternate Yukon with talking animals, narrator Kate tries to teach the scientific method to a group of lemming researchers with a death wish, and it doesn't go quite according to her plan. "How can one person see the same images as another and miss the point?" the husband asks his wife in "The Moon Over Tokyo Through Fall Leaves"--both unwilling, and perhaps unable, to recognize and appreciate what the other loves. "Why the Poets Were Banned from the City", evoking Plato's Republic, shows a grieving father desperate to understand why his daughter committed suicide, and to find someone to blame. I appreciated how the tragic in these stories wasn't easily attributable to any character's villainy so much as being unable to see beyond one's own perspective. Other stories seem to be about identity, often about a character's struggle to accept who they are. Nowhere is this sharper than in the poem that opens the collection, "Sam McGee Argues with His Box of Authentic Ashes". Canadians will probably recognize the reference to the character made famous by Yukon poet Robert W. Service; Stueart's poem posits the real man whose name Service lifted "from the bank register where he worked, needing a name to rhyme with Tennessee" being tempted by the serpent-like promise offered by the ashes. "Isn't being remembered more important than being true?" "Bear With Me" opens as protagonist Evelyn has flown 3000 miles to meet her online boyfriend of over a year, who has neglected to mention the minor detail that he turns into a bear each night. My feelings about "You Will Draw This Life Out To Its End" are mixed. I found its portrayal of the romantic partnership between renowned painter Auguste Renault and his lover Ajax, a miner on Jupiter's moon Ganymede, both beautiful and honest, including the tension that creeps between them when the artist uses his influence to help the miners in their labor struggles with the mining corporation. There's a thoughtful examination of art and politics, and of issues around wealth and poverty. And, although I don't think Christianity is ever mentioned in the story, I found it significant that Renault's ability to help the miners is dependent on his immersion in their world: on becoming like one of them and sharing their lives, even sacrificing his own health in the process. It's hard not to hear clear echoes of the Christian gospel here, and the story is powerfully told. And yet. I thought that certain aspects of the story's resolution, particularly around the miners' fight with the corporation, were resolved too easily, and I think I'm too cynical to believe that it could have worked out that way. I also felt that the story was longer than it needed to be (an issue with the werewolf story as well, I thought). Throughout the book, I appreciated Stueart's dry, often dark, situational humor, and his skillful, sympathetic characterizations. The stories were remarkably varied, more so than I typically find with single-author short story collections. Some Christian readers will be uncomfortable with some of the material; but if you didn't think anything in the Mysterion anthology went too far, you're unlikely to feel overly alarmed by anything here (the reverse is probably true as well). And, although few of the selections deal explicitly with Christian or Biblical themes, those that do make Stueart an author well worth following for those interested in contemporary speculative fiction in this area. Visit us again next week (January 15th) for an interview with Jerome!